The words “John Darnielle” and “professional wrestling” wouldn’t seem like a natural pairing, but given that The Mountain Goats’ frontman has recorded concept albums about meth addicts, domestic violence, group homes, and Bible verses, it probably shouldn’t surprise anyone that he’d get around to applying his precisely orchestrated folk-pop to a set of songs about big men in tights. In a way, Beat The Champ is a natural progression from Darnielle’s 2014 novel Wolf In White Van, which followed a game-designer who holds on to his favorite adolescent methods of escape, B-movies and comics. Darnielle has said that Beat The Champ was inspired by his own memories of watching wrestling on fuzzy UHF channels as a boy, and picturing the world beyond the ring. It’s similar to what he’s always done with The Mountain Goats: look around himself, and use his imagination to fill in any missing details. 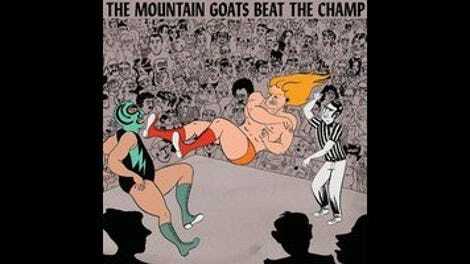 Still, the sound of The Mountain Goats is hardly the sound of the WWE (or its 1970s equivalent). Beat The Champ is a beautiful record, not a muscular one. Even when Darnielle indulges his heavy metal fanboy side and rocks hard on songs like “Choked Out” and “Werewolf Gimmick,” he sticks with his acoustic guitar, favoring cleanness over distortion. 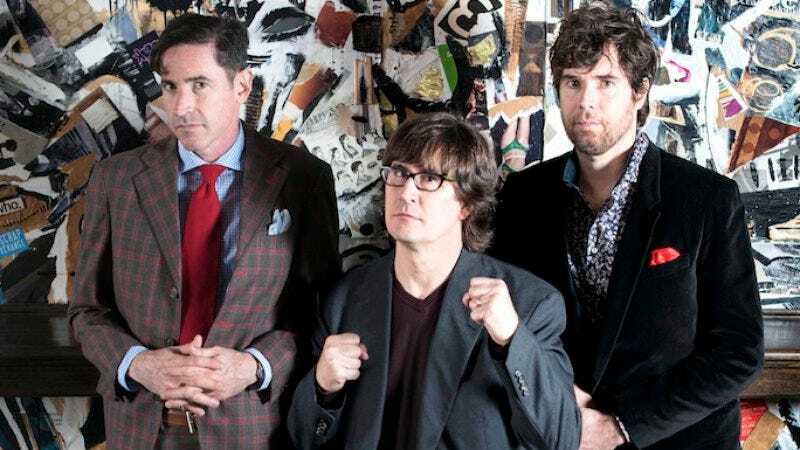 And for most of the album, The Mountain Goats aim for soft, sweet, minimal arrangements, with strings and woodwinds tastefully accenting piano, guitar, and drums. It’s remarkable how much sonic depth the band is able to achieve with so little. On first listen, the album-opener “Southwestern Territory” sounds almost like a demo for a Broadway number, while the songs “Fire Editorial” and “Luna” are breathy and jazzy, like cabaret. But with just the faint whine of a harmonica or with a short, twangy guitar solo, The Mountain Goats open up the environment of Beat The Champ, evoking dingy dressing rooms, exhausting road trips, and the tattered carpet where a kid plops down to watch his heroes fight. Beat The Champ’s high point is the six-minute, steady-building “Heel Turn 2,” which turns the story of a wrestler becoming a villain into a powerful piece of self-examination, taking into account self-image, life choices, and legacies. It’s the kind of literary song that Darnielle does so well, expressing empathy for people in over their heads, while turning their lives into something hummable.